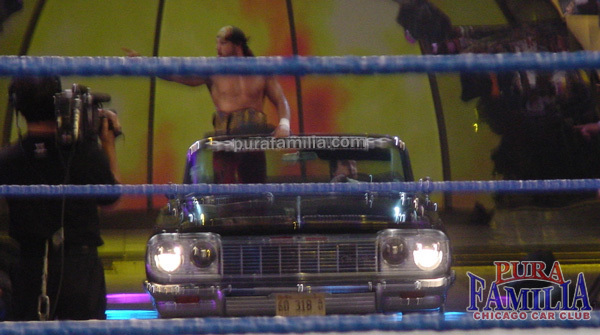 Pura Familia was invited to take a car to be Driven to the ring by Eddie Guerrero and Chavo Guerrero. Chavo Guerrero, Rene, Art and Eddie Guerrero after the show. 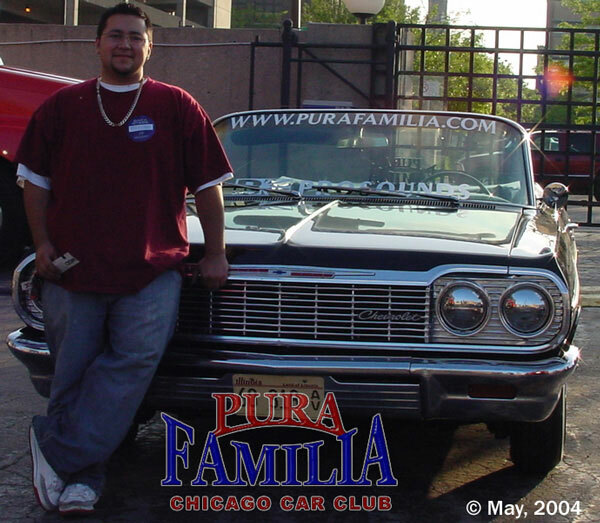 Eddie Guerrero and Chavo Guerrero drive in on David Anthony's 64 Impala from Pura Familia. 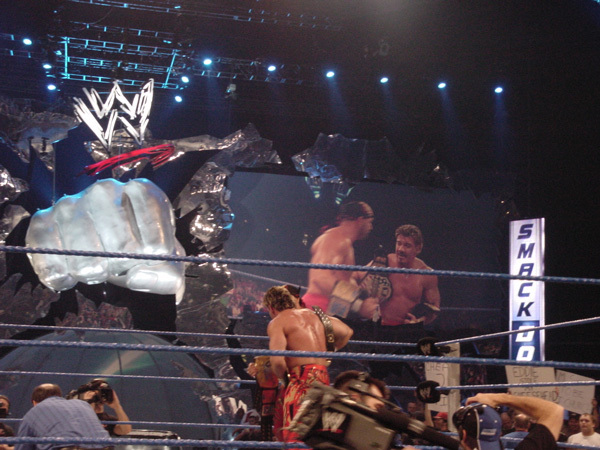 David Anthony's 64 at WWE Smackdown. 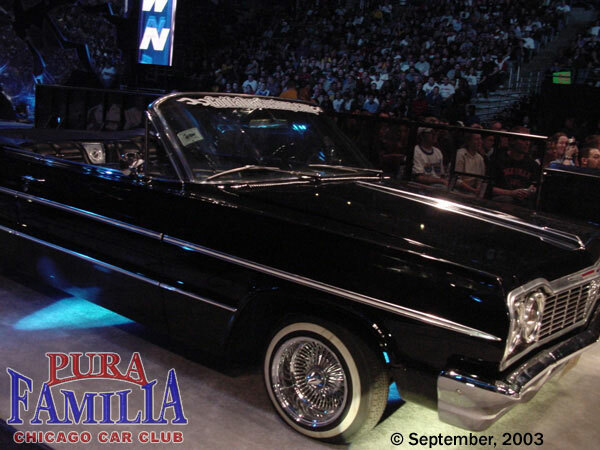 64 Impala and Chavo Guerrero about to get in the ring! Art, Big Show and Rene after the show.